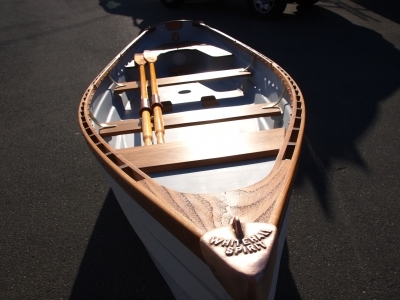 This traditional rowboat is often called the most beautiful rowing boat in the world. It performs as beautifully as it looks. 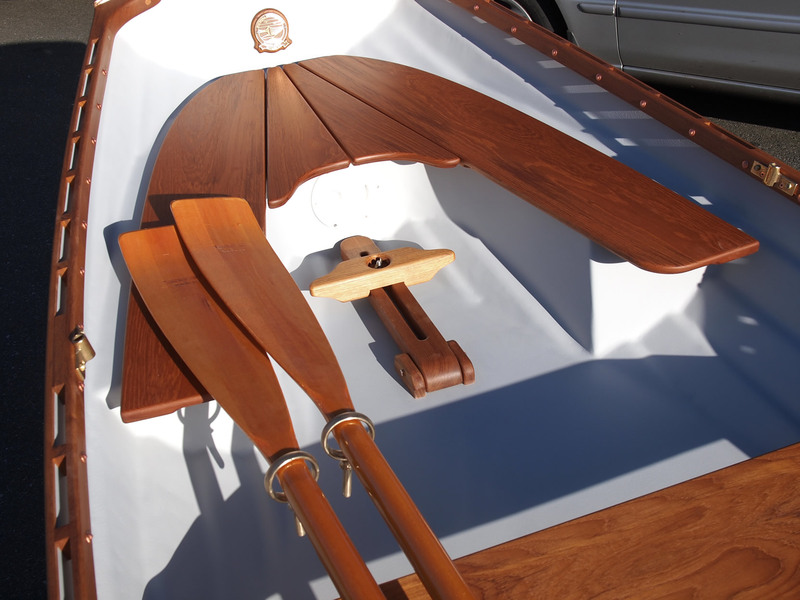 Two full-sized rowing stations enable tandem rowing, or a choice of forward or aft (rear) rowing positions depending on the load aboard. With no load aboard, it is usually rowed from the aft position. It can easily be rowed by one, and can even be rowed facing forward by sitting in the aft (rear) position, by pushing the oars rather than pulling and utilizing the forward oarlocks. For the traditional rower, this model represents a boat that is practical and perfect for rowing on lakes, rivers, or the ocean, and handles rough water very well. It rows easily and the glide needs to be experienced to be believed. The classic full-length keel keeps the boat tracking straight while under way, a very useful characteristic for long-distance rowing. 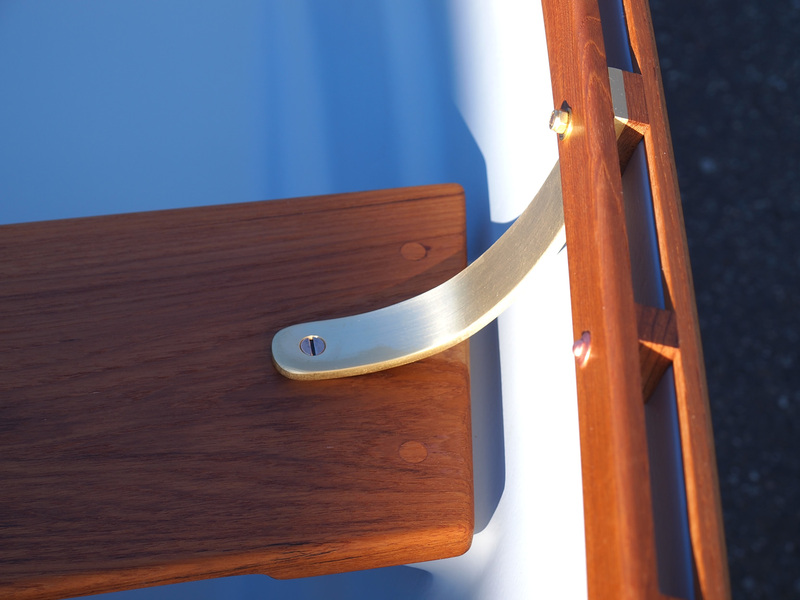 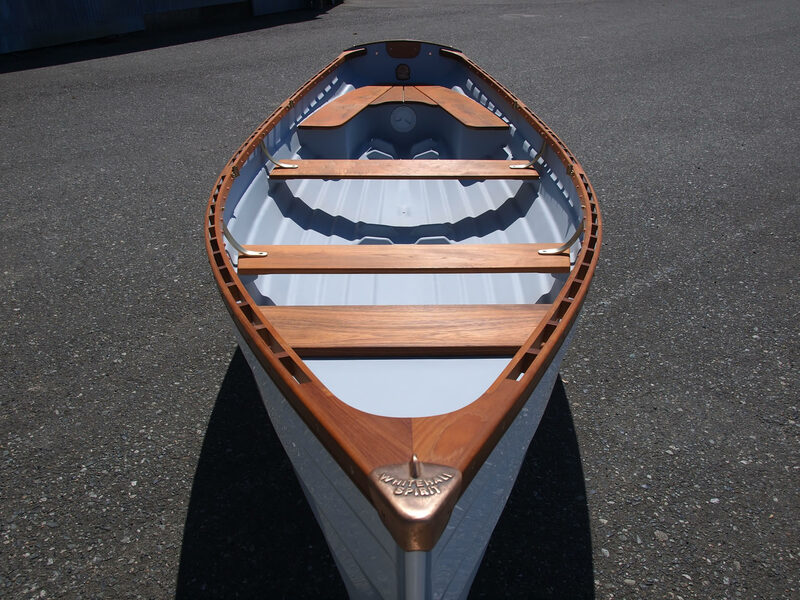 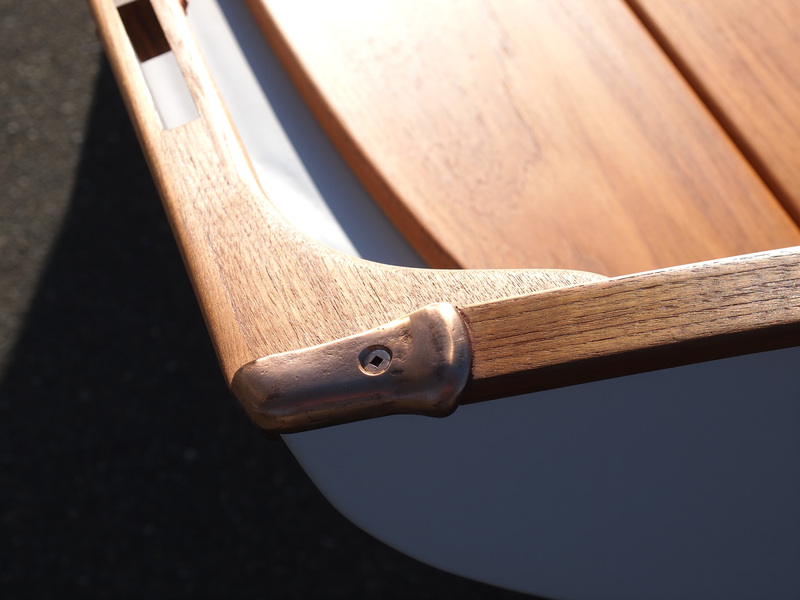 This fixed-seat traditional rowboat features built-in buoyancy forward and aft, and is also available with a solid teak floorboard system or with a fully buoyant “Ocean Tender Floor” which adds substantial extra reserve buoyancy to the boat. 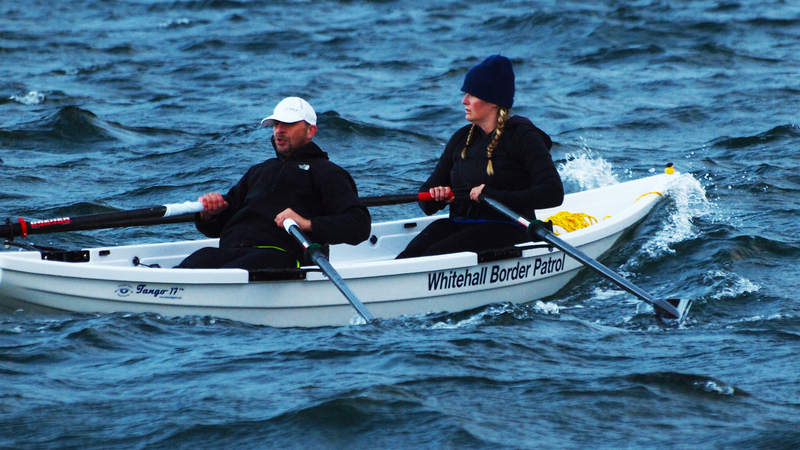 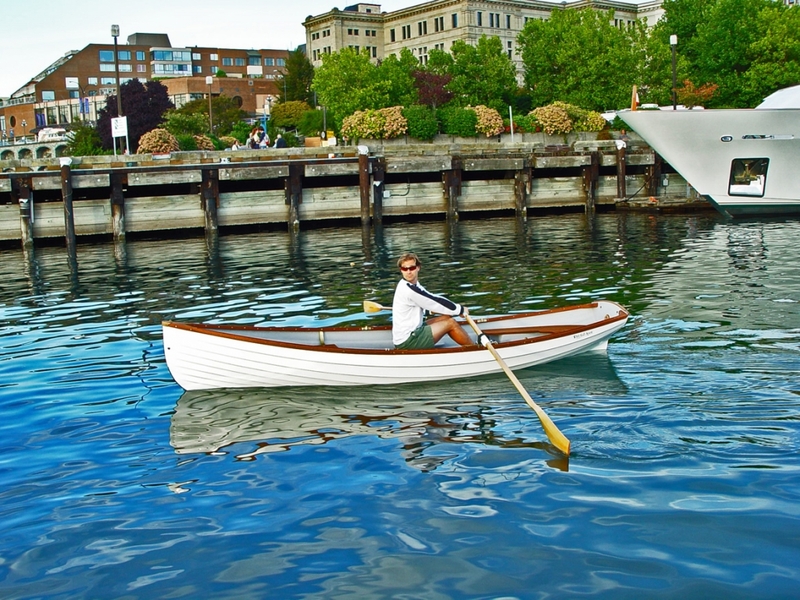 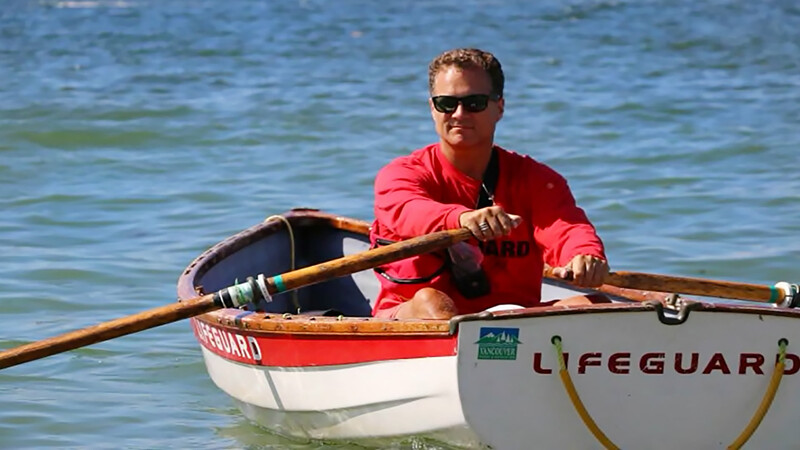 This basic Classic Whitehall Spirit® model is also available with single seat sculling gear. 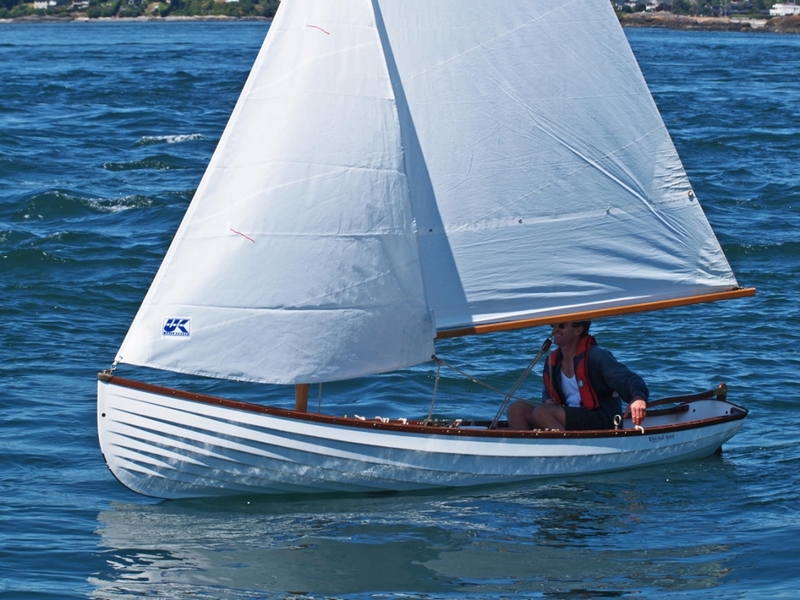 See the sculling model or the sailing model. 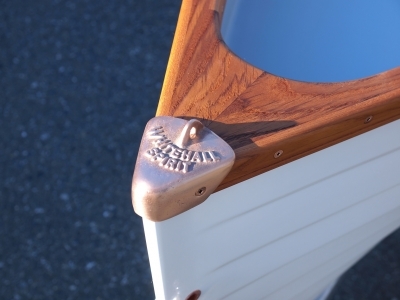 The hull is hand-laid fiberglass, impeccably finished inside and out. 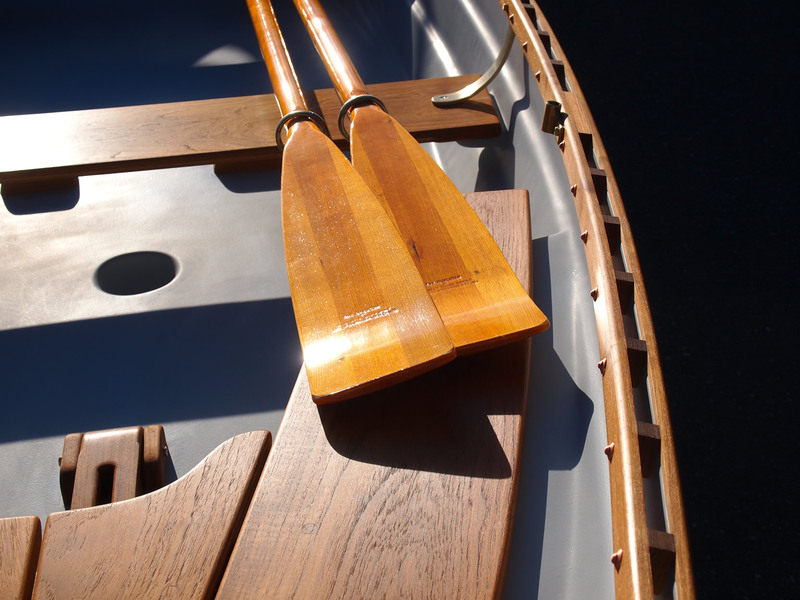 The woodwork is solid teak finished in hand-rubbed oil, meaning maintenance is not an issue, and will require only about three hours per year. 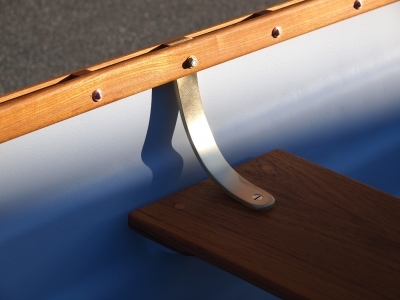 Copper rivets and roves are used on the gunnel, and the metal fittings are custom-cast bronze. 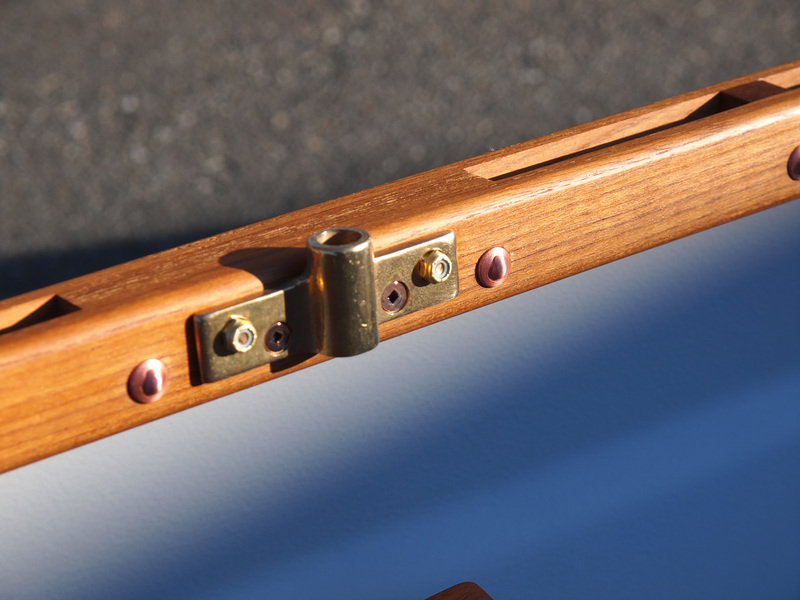 The photo album below shows close-up details of the fine workmanship. 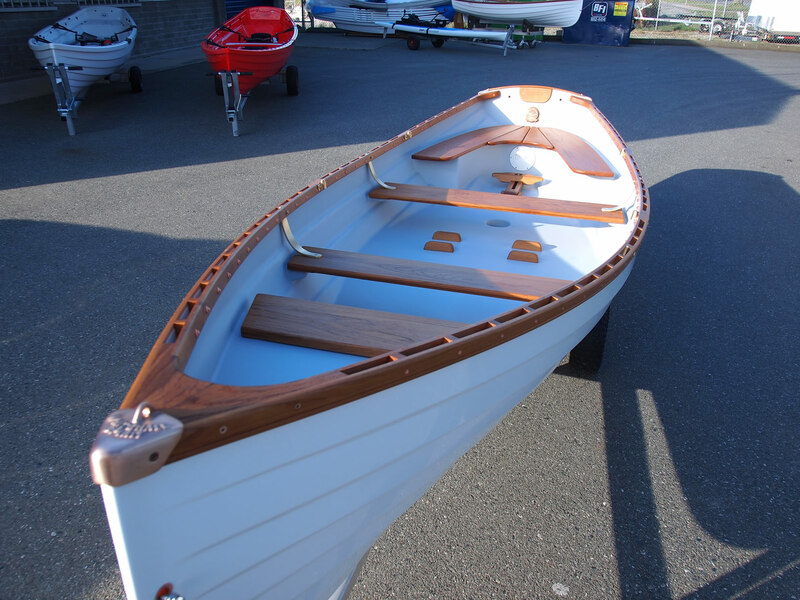 All 18 classic boat models can ordered in different configurations to suit your needs.